The haute couture world knows no bounds. And sunglasses is one of those accessories that can give you a 'Star' appeal effortlessly. We have earlier told you about the most expensive sunglasses, including the D&G gold sunglasses,the Ultra Goliath $25,000 Diamond Edition sunglasses , Bentley Platinum sunglasses priced at a whopping $45,276, and the gladiator-fight inspired $200k emerald sunglasses designed by Sheils Jewelers, Australia, which smashed records by becoming the priciest in the category. The latest to join the ranks are the Jewel sunglasses by Swiss luxury House Chopard. While exact retail price for the collection continues to remain under wraps, reports claim it as the most expensive in the world, with the speculated price being estimated around $4,084,967 (1.5 million AED). 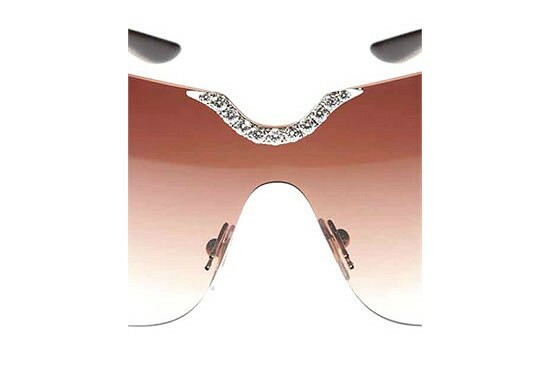 Designed by De Rigo Vision, the glares glare with 51 fully cut River diamonds, their weight totaling at 4 carats. 60 grams of 24 carat gold have been used to create the awe generating piece. A special technique was employed to set the diamonds. The placement of stones represented a carpeted pattern, making each and every piece ooze with a heavenly glow. So, what you have in return is not so much a diamond pave as a group of them huddling together, in a new, innovative design. 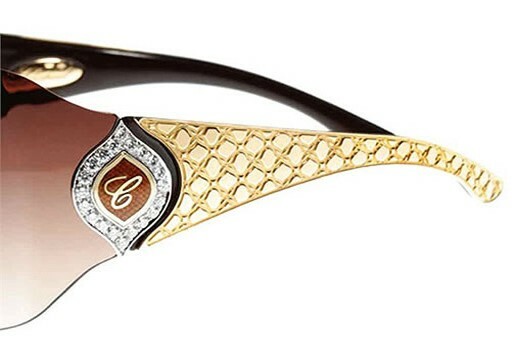 Chopard’s famous C logo appears on the arms of the glasses. That Chopard, with it latest model, spins out of range for people with compressed pockets comes like no surprise though.